Carved from light rubberwood, these decorative pieces are quirky and cute. They've been shaped to look like bottles – an unusual addition to lacklustre surfaces. 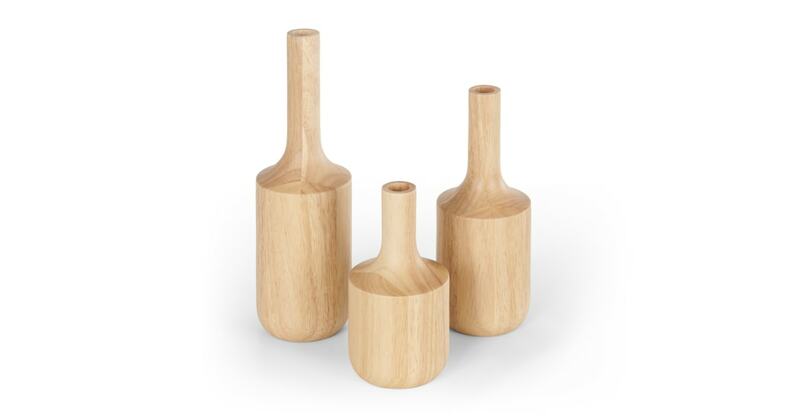 Display this set of 3 decorative bottles proudly – on a shelf, sideboard or coffee table. Their simplicity is sure to command attention. Makers of conscious design, Blond makes light work of big impacts. Award-winning and accessible, they were the natural choice of collaborator for this wooden collection.